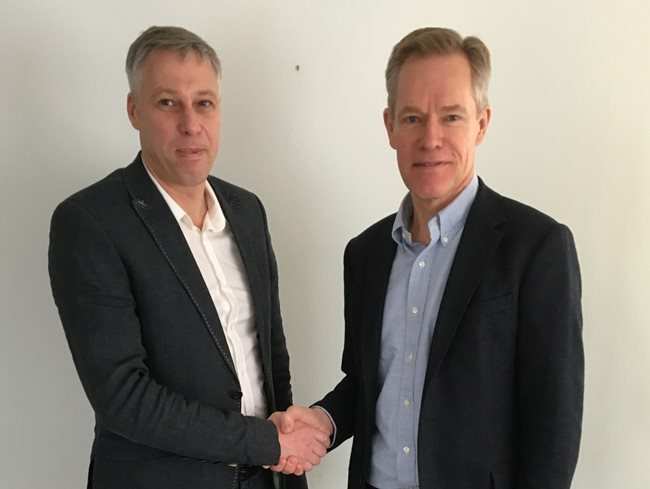 Domino Printing Sciences has moved to expand its presence in the Baltic region by entering into a partnership with Lithuanian printing technology provider Lipnus. Based in Kaunas, Lipnus specialises in supplying various materials, services and professional solutions for label print companies, flexible packaging, silkscreen, advertising producers and consumers in Lithuania and bordering countries such as Belarus, Estonia and Latvia. Under the agreement, Lipnus will now represent Domino in Lithuania, using its 21 years’ of experience as a reseller to increase the usage of Domino kit within print operations across the wider Baltic region. Speaking to FESPA.com about the partnership, Eric White, business development manager, Nordics, at Domino Digital Printing Solutions, said the company has experienced a sharp increase in interest for its technologies in the region and the arrangement with Lipnus will allow it to address this demand. “Domino has received an increased number of enquiries from the Baltic region lately, with several Baltic label print firms having expressed an interest in the Domino N610i digital ink jet label press,” White said. “For a label printer, it’s often important to have local representation available when taking the big step to invest in new technology, so Domino was very pleased to be able to set up this co-operation with Lipnus, which is already familiar with the region’s label printing companies, through it longstanding supply of other products to them for their label production. The partnership with Lipnus forms part of a wider growth strategy at Domino, after the company also recently established a new Asian organisation. Domino is one of many leading companies to have identified Asia as a key growth market and FESPA will look to showcase the opportunities available in the region at this year’s edition of FESPA Asia. Taking place from February 22-24 at the BITEC Exhibition Centre in Bangkok, Thailand, FESPA Asia will welcome companies from across Asia and the global print sector, which thousands of visitors expected to attend.